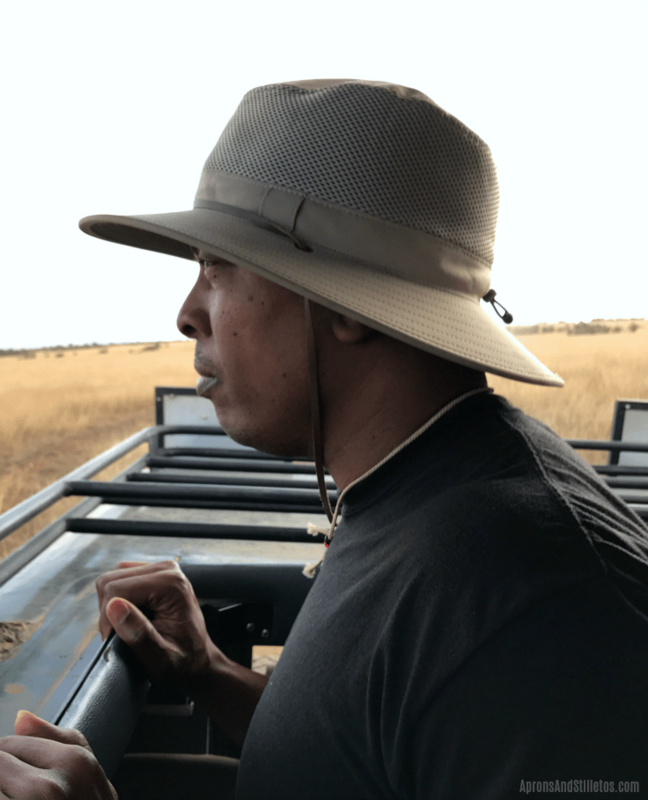 My husband and I just got back from an amazing time in Africa that included time spent on safari. While the sights were breathtaking, no on told us what a toll the actual ride would take on our bodies. The Safari we went on was in northern Kenya, where the Samburu and Turkana tribes live. Our job there was serving the people of those two tribes and we had to drive between where we stayed and where the tribes lived. The terrain was breathtaking, but rocky, mountainous and unpaved. Add to that, we were encouraged to stand up in the jeep during the ride, which tossed us up and down, then side to side. We literally had to hang on for dear life. It was the most exhillerating experience we’ve had outside of an amusment park, but our bodies definitely paid the price for the amazing experience. By the time I was ready to return home to the states, I had mosquito bites everywhere, sore muscles and several bruises. Nothing major, but definitely some things that needed attention. After getting back to the states I picked up some ‘must-have’ first-aid supplies for an African Safari. I plan on returning to Kenya, so I’ll need a first-aid kit for my next trip. First-aid kits are a smart idea whether going on safari or just preparing for emergencies. Plus, right now you can get this cute Oh Joy Bag free at Target (with the purchase of 3 participating J&J products). 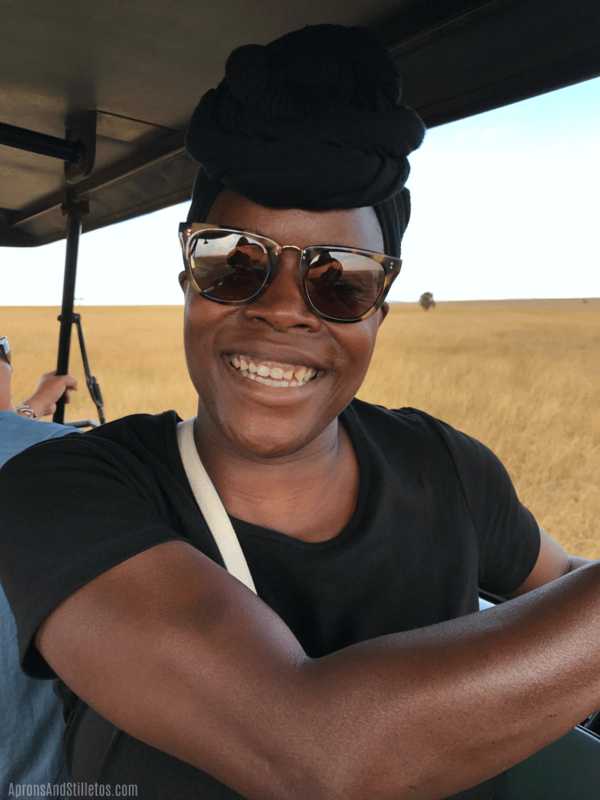 So let me show you the bag and what to pack for an African Safari. For sore mucles, bumps and bruises pack some BENGAY® Ultra Strength Cream. After a day on Safari your muscles will be sore and you may have bruises. Rub on a little BENGAY® to help ease sore spots and provide pain relief. This was heavily used by my team members while we were in Kenya. For mosquito bites and swelling bring along Benadryl anti itch spray and Benadryl Ultra Tabs. While store bought or homemade bug repellent will help, you will probably still get bit. For cuts and bruises pack a few band-aid bandages. Camera – You’ll want one that takes great close and far away shots. You will take a ton of pictures. Backup flash drive (for photo/video storage) – You will run out of space fast from the amount pictures you take. Journal & pen – At the end of the day, you may want to take notes about the safari. Mobile battery charger – You will need one, if not two. With outdoor activity comes bumps, brusies and sore muscles. So whether going on an African Safari’s or some other amazing adventure this summer make sure you’re prepared. 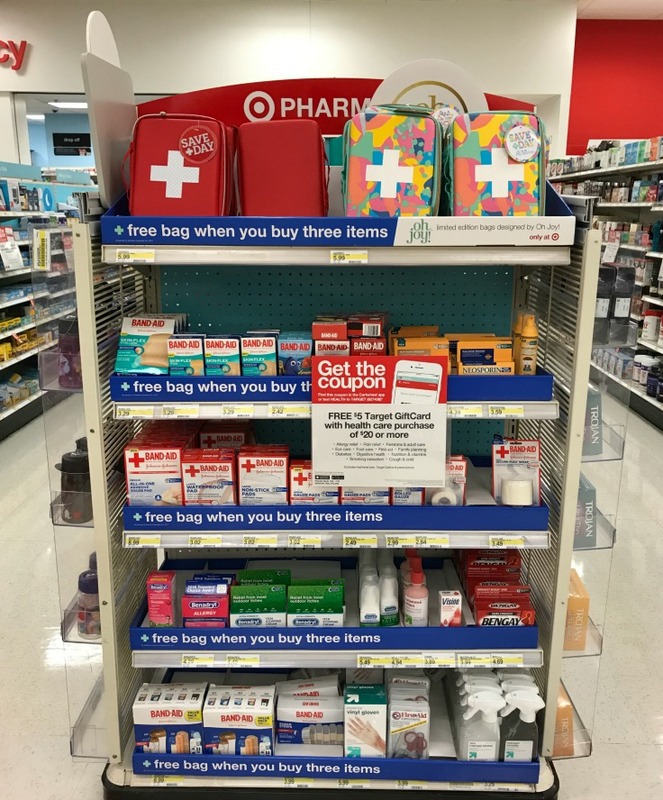 Head over to Target and get your free first-aid bag with the purchase of 3 participating J&J products. Look for the end cap display like the one below. That is definitely a once in a lifetime experience. I think these are the perfect products for exactly this kind of trip. Sounds like an awesome vacay! I know safaris would be amazing, but I think it’s so brave to do. I know I’d be scared. I get wary at Disney’s safari, lolol. Not kidding. 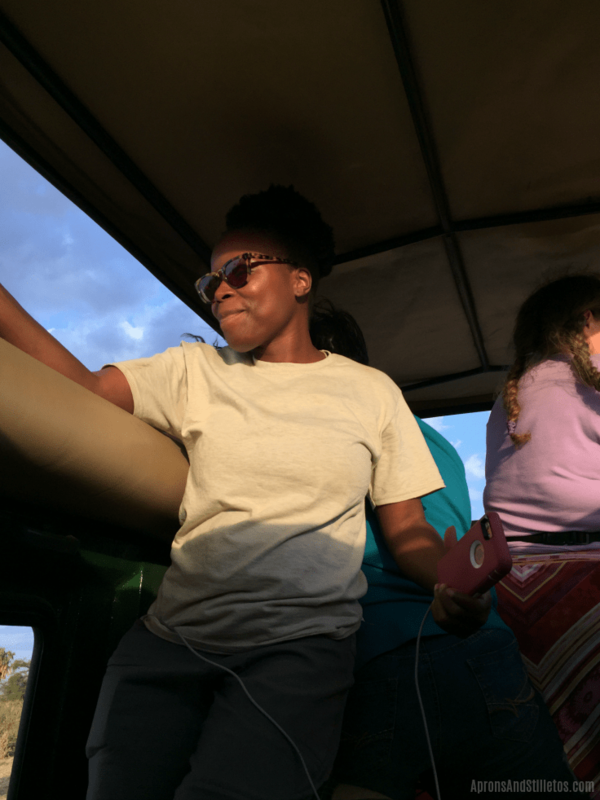 This will be super helpful for anyone going to an African Safari, what a fun adventure. I can imagine being prepared is half the battle, so that you can enjoy the time together. I Love all that you shared to pack up for this adventure. I love that colorful first aid kit bag! It is so cute! 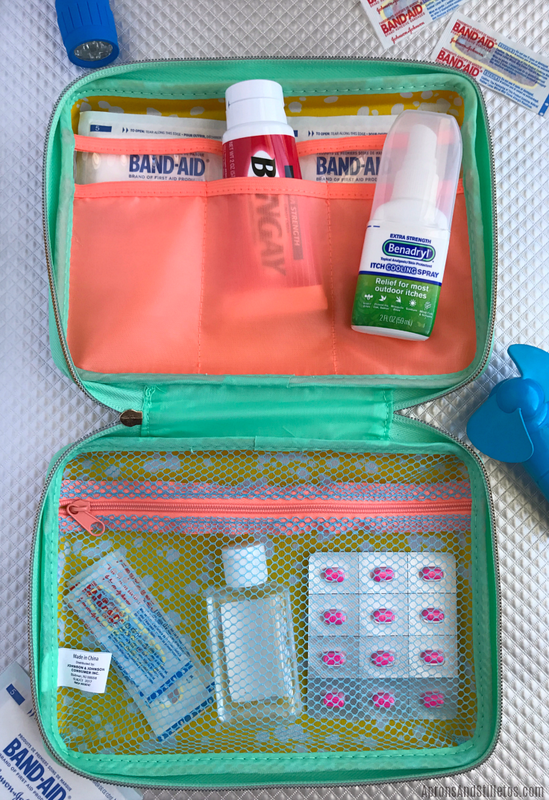 I have a large first aid kit but I definitely need to make a smaller one to be able to easily pack when ever we go on adventures! Thanks for the great idea. Wow! I always thought it would be fun to do an African safari, but I’m afraid I would be too much of a chicken. It looks like you guys had a great time. 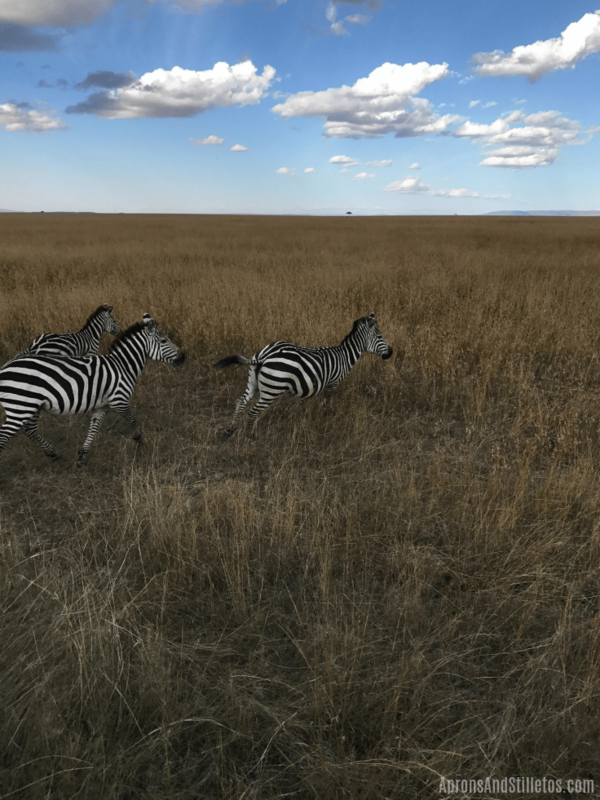 I would love to see the zebras running in real life. Not so much the lions. I wouldn’t even begin to guess what to pack for this trip, so I’m glad you’ve told me. This sounds so awesome. One of my good friends did this for her honeymoon and it sounded so fun! Going on an African Safari sounds like an amazing experience. Your tutorial offers some great tips for what to pack!